Shop Fishman SA Sub Powered Subwoofer for SA300x 8in 300 Watts from AMS with 0% Interest Payment Plans and Free Shipping. 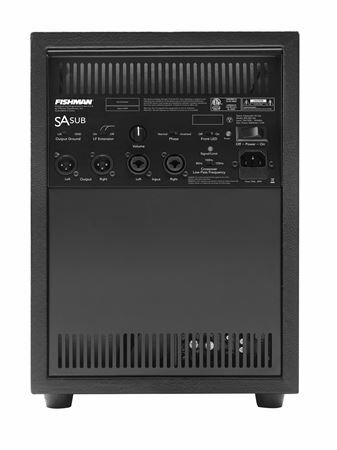 Add incredible low end power to your SA300x, resulting in a much fuller sound in any venue! Simple to connect and voiced to complement the SA330x, the compact and lightweight SA Sub will provide enough low end to fill a 150-person room. For bassists, DJs, presenters and others looking to add enhanced low-end punch to their performances and other broadband program material, the SA Sub is the answer. 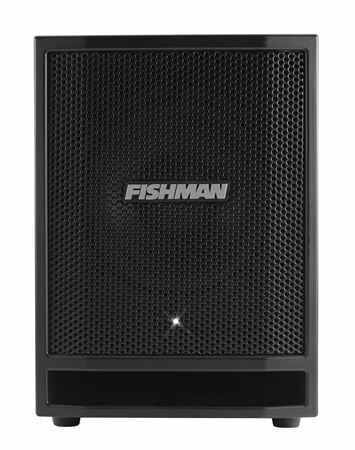 A purpose-built subwoofer intended for small-to medium size performance applications, the SA Sub is the perfect solution when portability and Fishman-quality sound are essential. The SA Sub is designed as a companion to the SA330x unit and connects easily via a 1/4 inch / XLR connector. Additional features such as Phase Reversal switch, signal limiting, Level indicator, Ground Lift switch and more, ensure minimal feedback and quiet, clean performance. If you are using the fishman SA330 for anything other than Acoustical shows. The sub adds life to the sound. Karaoke, music sound great. Now my sound is complete! I am a solo singer that sings to music tracts. I owned a Fishman tower but did not add the sub till now. What a big difference in sound. The Fishman sub add so much to my music sound I can't believe I didn't buy the complete set the first time. This iss a perfect system for performances in almost any size room. I'm very very happy with this system.